Thank you for visiting Cleveland's Premier Collision Repair Center! Serving Southeast Tennessee Since 1981! From Excellent Customer Service to Flawless Paint! Specializing in Insurance Collision Repair Services! Welcome to Cleveland Collision Center! The days following your unfortunate and untimely collision can be difficult, and we at Cleveland Collision Center have made it our goal to make the repair process as effortless as possible. 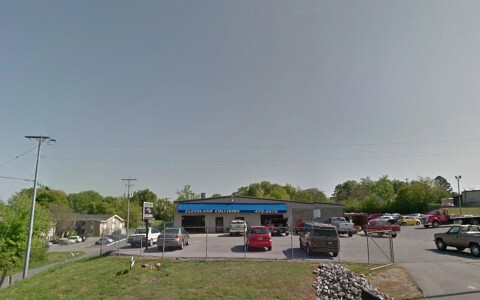 We are a total auto body and auto collision repair service center in Cleveland, Tennessee and we are dedicated to making your collision repair as uncomplicated as possible. We work hard to have your vehicle scheduled, repaired and back to you with the quality repairs that you deserve in a timely manner. We work with all insurance providers and are happy to communicate with your provider to relieve some of your stress during the collision repair process. At Cleveland Collision Center, we are dedicated to producing quality auto collision repair. Quality repairs require quality products. We are dedicated to using the finest materials available. After countless hours of research, we have selected the best products offered in collision repair. From our premium primers/surfacers to our superior line of refinishing products, you have our word the repairs that we do will look good for as long as you own your vehicle. You want the best for your vehicle, especially when it comes to the appearance. We do, too! We stake our name on it. Cleveland Collision Center offers a peace of mind that you will not find at other auto collision repair shops. We guarantee that when your vehicle leaves our repair center that it will be returned to you in pre-accident condition. Please feel free to contact us by email, telephone, or stop on by. We would love to hear from you. No appointment necessary for estimates! We are based in Cleveland, TN and our service area also includes Chattanooga, Benton, Athens, Ooltewah, Dayton, and the rest of Southeast Tennessee. Cleveland Collision Center 5 out of 5 based on 3 ratings. 3 user reviews. I just got my 2014 Nissan Rogue back from these guys. This was the second job they did for me. They did a fantastic job, and delivered on time. They even washed the car and vacuumed the interior. Great service at a great price. I highly recommend these folks. They are helpful, friendly, and courteous. I worked with Cleveland Collision Center for many years on multiple projects and it's always a great experience, very easy going and professional team at the same time! Keep up great work guys! I can't say enough great things about this automotive body shop! They have done several repairs for me and my husband past several years and each and every time have done excellent work! The customer service is outstanding as well! I highly recommend them!